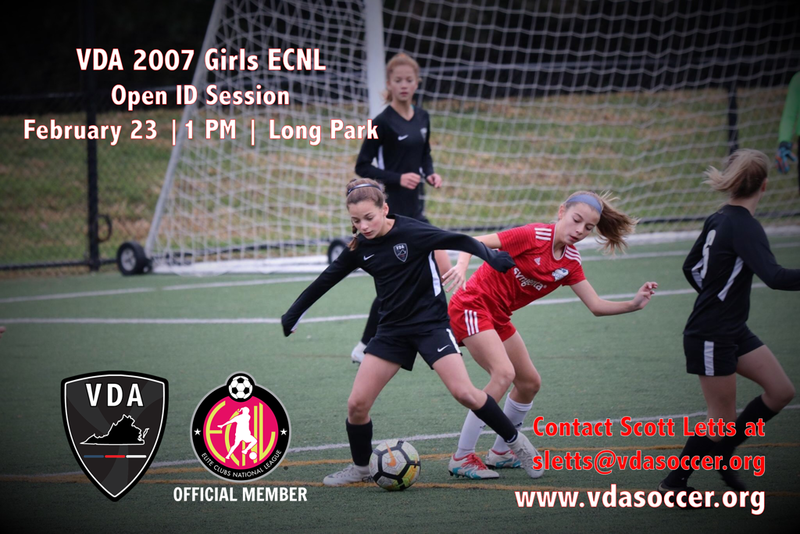 VDA would like to welcome any female player born after Jan 1, 2007 to attend an open ID session for the 2019-2020 VDA 2007 Girls ECNL team. You are welcome to attend regardless of your current club affiliation. If you have any questions please contact Scott Letts at sletts@vdasoccer.org.